Tamashii Nations Movie Realization Celebration 2019 Display – HD Pics of Our Shots! Star Wars Celebration is in full swing and many of the companies we love to collect are there. Bandai / Bluefin / Tamashii Nations is among them and they have a display of action figure photography featuring their Star Wars Movie Realization line. This is the line where Japanese Feudal Warriors like Samurai are merged with Star Wars lore for a completely unique alternate universe range of figures. I was fortunate enough to be asked to contribute to this display again, I did so back in 2017 as well. I wanted to share the full resolution version of the pictures shown on display (4 of them), along with another 35 or so from the same sessions that produced the ones actually printed and out at the show. I like to shoot fast with lots of repetition, slight angle and lighting changes, then pick the best at the end. Sometimes it’s hard and you get a ton of unused but still cool shots. So at least they’ll have a home on the web now! 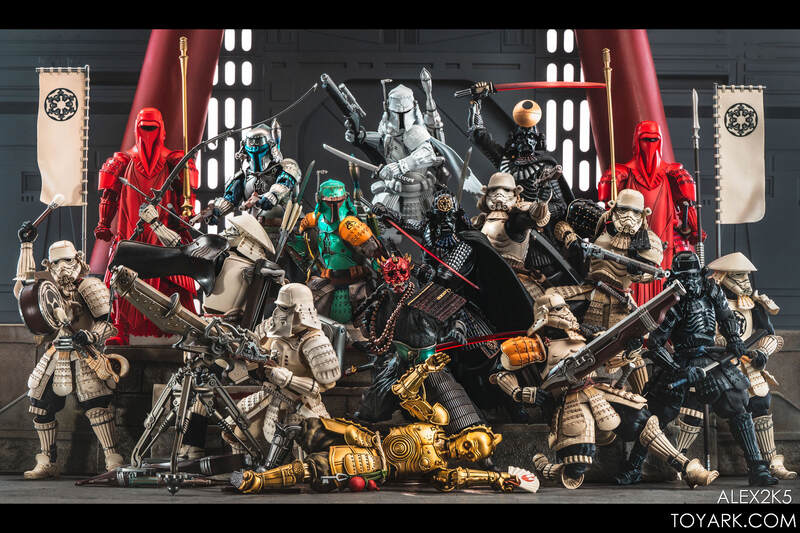 Read on to check them out, and make sure to stop by the Tamashii Nations booth at Star Wars Celebration 2019 this weekend if you are at the show! 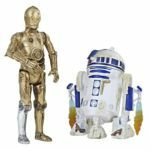 Diamond Select Toys has sent along a press release, detailing their Gentle Giant Exclusives for Star Wars Celebration 2019. They will be offering two collectibles. The first is a 1/6 scale bust of Hera Syndulla from Star Wars: Rebels. 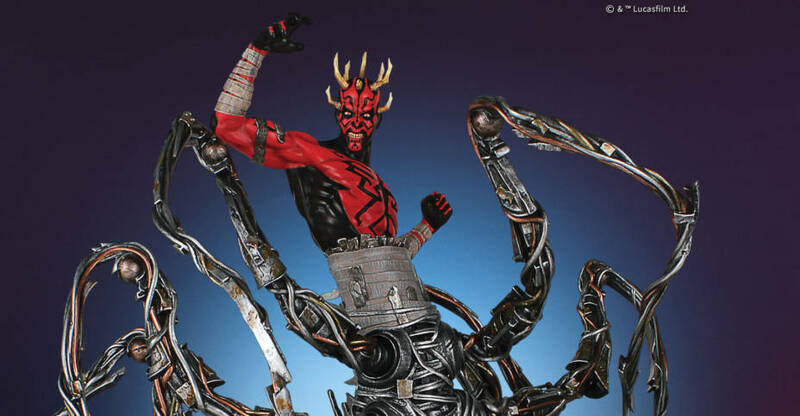 the second is a 1/8 scale statue of Darth Maul with Spider Legs from Star Wars: Clone Wars. The items will also be available to Premier Guild Members via the Gentle Giant website. Check out details below, and see the photos after the jump. Gentle Giant Ltd. Is traveling to Chicago, IL this month to attend Star Wars Celebration April 11-15, and they’re bringing two popular Clone Wars characters – Hera Syndulla and Darth Maul – as this year’s exclusive offerings! The captain and heart of the Ghost crew, Hera Syndulla was a gifted pilot and leader. While Hera was a strong commander – and especially adept at dogfighting with TIE fighters – she was also warm and nurturing. The Twi’lek could bring out the best in her team, which consisted of very different personalities, making them believe in themselves, each other, and their struggle against the Empire. Hera will be made available as a 1:6 scale resin bust, for a price of $120.00. A deadly, agile Sith Lord trained by the evil Darth Sidious, Darth Maul was a formidable warrior and scheming mastermind. He wielded an intimidating double-bladed lightsaber and fought with a menacing ferocity. Though he fell in battle against Obi-Wan Kenobi, the Zabrak from Dathomir would prove to be much harder to destroy than originally believed. 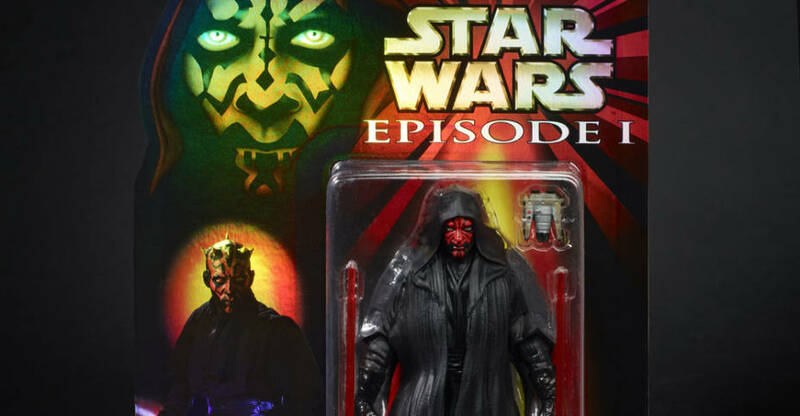 Darth Maul will be depicted with his Force-constructed spider legs in a 1:8 scale Collector’s Gallery statue, available for $200.00. Star Wars Premier Guild members will be able to pre-order the busts beginning March 25. All others can come by the Diamond Select Toys/Gentle Giant Ltd. booth between April 11 and 15th! See you in Chicago! 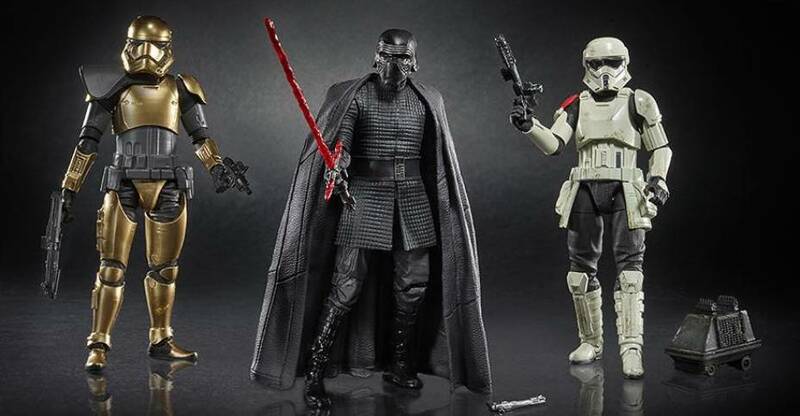 At Toy Fair 2019, Hasbro showcased numerous Star Wars Black Series 6″ Scale Figures. 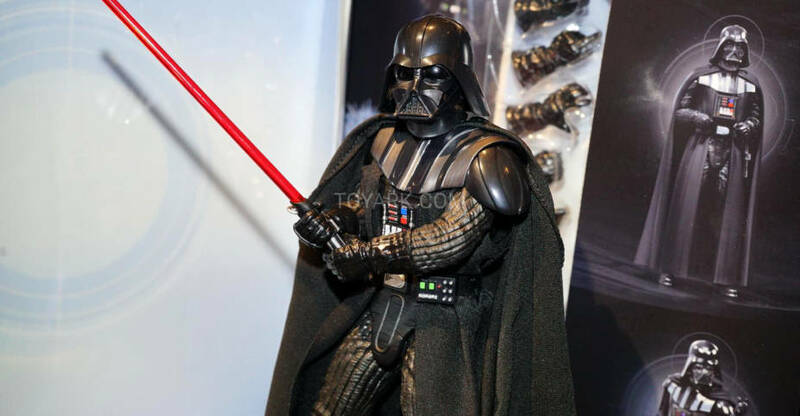 However, they also debuted their 8″ scale Star Wars Black Series HyperReal Darth Vader. 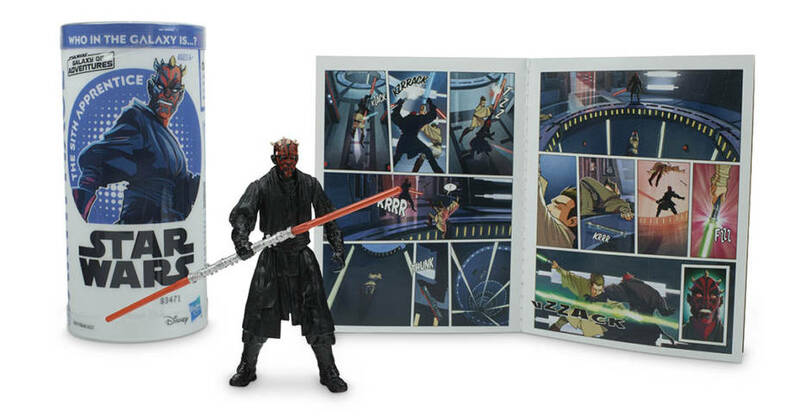 The other big news was Episode 1 6″ Figures on classic Phantom Menace style card backs. We have 80 photos in the gallery. Later today, Sideshow Collectibles will open up pre-orders for their Star Wars: The Phantom Menace – Darth Maul Life Size Bust. The 27″ tall bust includes a fabric robe, with a hood that can be displayed up or down. The bust itself is constructed in fiberglass and has a themed base. Fans will be able to pre-order the statue today, some time between 9:00 AM and Noon Pacific Time via SideshowToy.com. The bust will be priced at $1,150. See all of the new photos by clicking the headline of the story. Sideshow is proud to present the Darth Maul Life-Size Bust, joining your galaxy of Star Wars collectibles. The Darth Maul Life-Size Bust measures a menacing 27” tall, on top of a sleek black base that matches with our other Star Wars collectible busts. The Dathomirian Sith is sculpted with a sinister scowl and an incredibly rendered likeness, painted with his iconic facial markings in red and black. 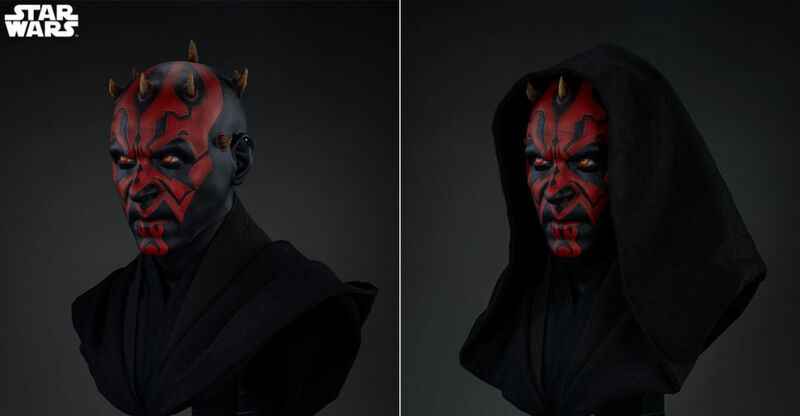 His fiery red eyes capture the intensity of this ruthless villain, while his Zabrak horns complete his intimidating look. The Darth Maul Life-Size Bust is crafted from fiberglass and also includes a fabric inner robe and hood, which can be displayed up or down over Maul’s head, giving you an additional display option for presenting this piece in your home. Bring your Star Wars collection to the Dark Side and order the Darth Maul Life-Size Bust today! 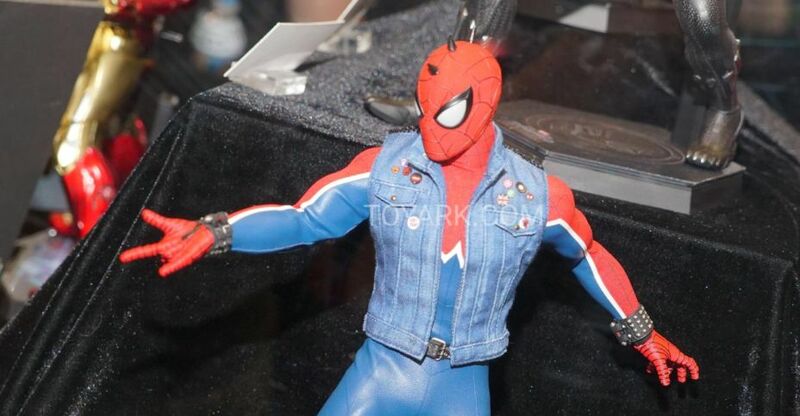 There were numerous Hot Toys figures on display at the Sideshow booth at New York Comic-Con 2018. These include Marvel, Star Wars, Alita Battle Angel, and John Wick. This mixed gallery includes the S.H. 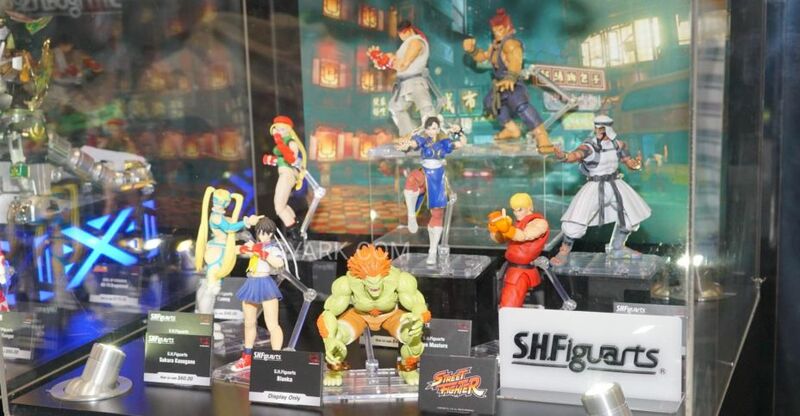 Figuarts Street Fighter and the Star Wars Movie Realization figures on display by Tamashii Nations at New York Comic-Con 2018.